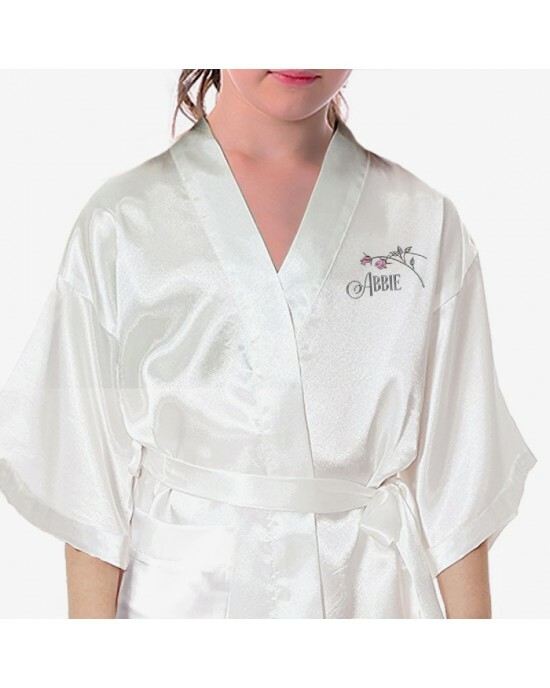 Children's / Kids Ivory Personalised Satin robe. Silver Effect Roses to match the adults For your little flower girls or bridesmaids. 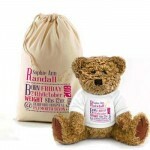 Kids, Personalised Satin Dressing Gown / Robe / Kimono. 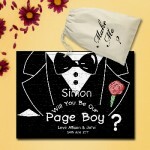 Personalised Silver Effect Roses, Children's / Kids Colour Satin Robe. 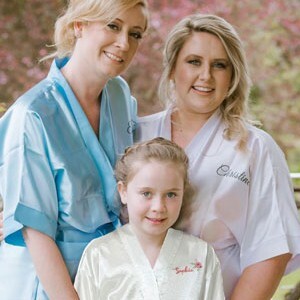 Don't leave your little flower girls or bridesmaids out, they can have a gown just like yours.... Made in the same style as the adult robes but in kids sizes. If you want the colour of the rose heads changed just let us know in the other box. This style has a single pocket on one side, this is visible when the robe is wrapped around and tied. 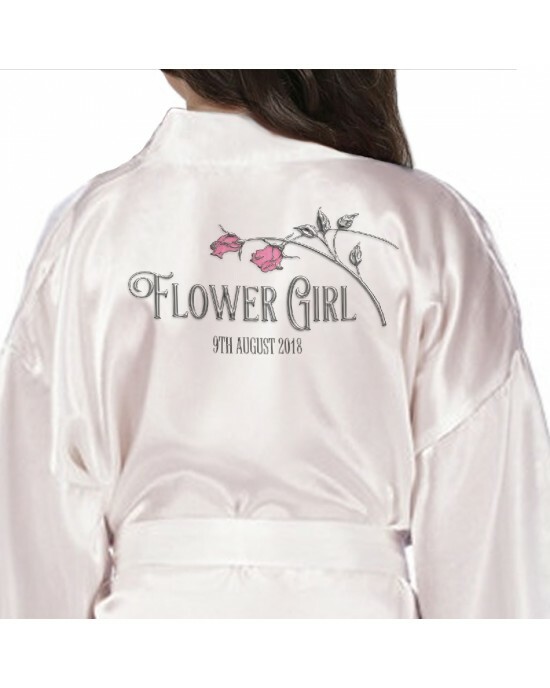 Ivory Dressing Gown / Robe / Kimono.A beautiful silver effect roses with delicate water colour heads make this a very special design.Perfect Item for ..
Beautiful Satin Robes For The Bridal Party.The print onto this Black colour robe is a metallic silver, with matching metallic silver hearts, perso..